It’s no secret that Paris is home to a diverse population and the Antillean community here is definitely one that is strong and thriving. There are hubs of Antillean culture across the city, from streets full of markets and vendors to clubs that play zouk music until all hours of the morning. 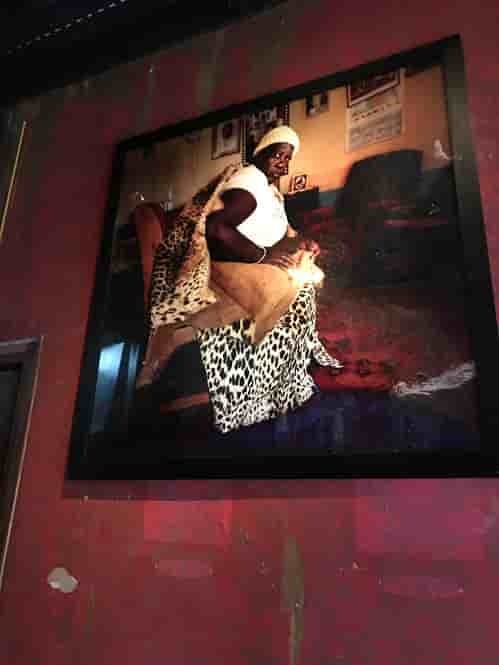 Le Comptoir Général is one such epicenter of Afro-Caribbean culture. On any given Thursday, Friday, Saturday, or even Sunday night, you’ll find this place bubbling with activity! DJs are lined up weeks in advance and they play the greatest selection of hits ranging from American hip-hop to Martinican rap and everything in between. Imagine yourself promenading on Canal Saint Martin on a Friday night. Constant chatter from the banks of the canal fill the air with a youthful spirit. Groups of friends are seen sharing bottles of wine and catching up on the week’s events. Upon arriving at quai de Jemmapes, you come across a seemingly lackluster entryway where a bouncer stands in front of a roped off area. You can tell by the line outside the door that inside, there’s something worth waiting for. After queuing to enter (there’s no charge), you finally have the opportunity to see what lies behind the beaten façade. 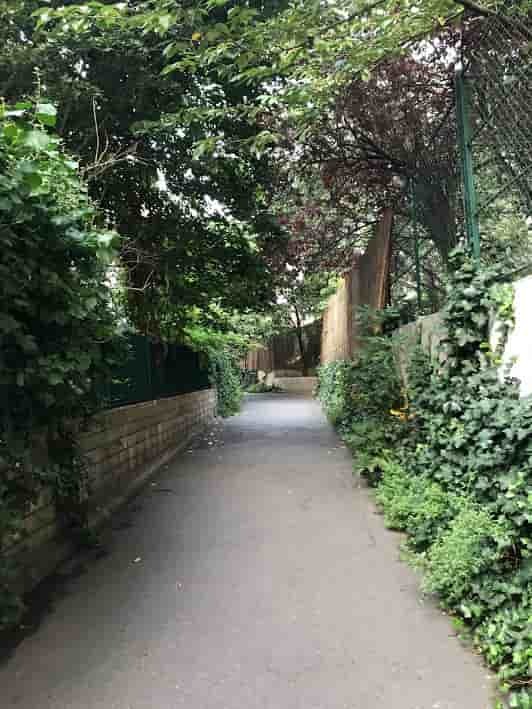 An alleyway thickly lined with trees leads you to the true entrance, which is indicated by a neon-pink illuminated arrow. Through these doors is an entirely different world. 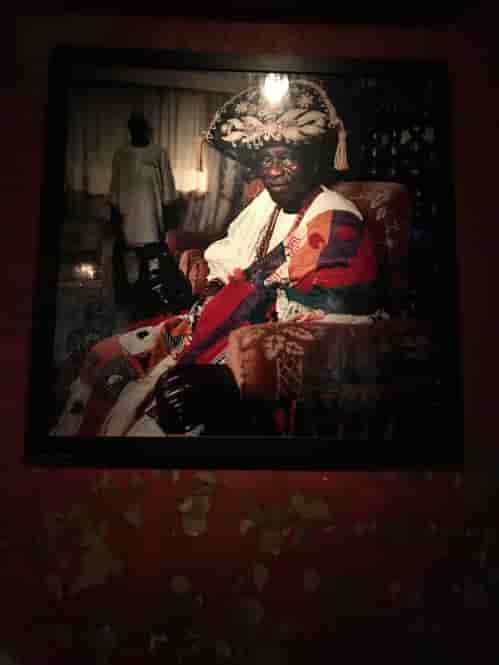 The hallway is lined with large framed photos of individuals whom you could imagine to be of African nobility. 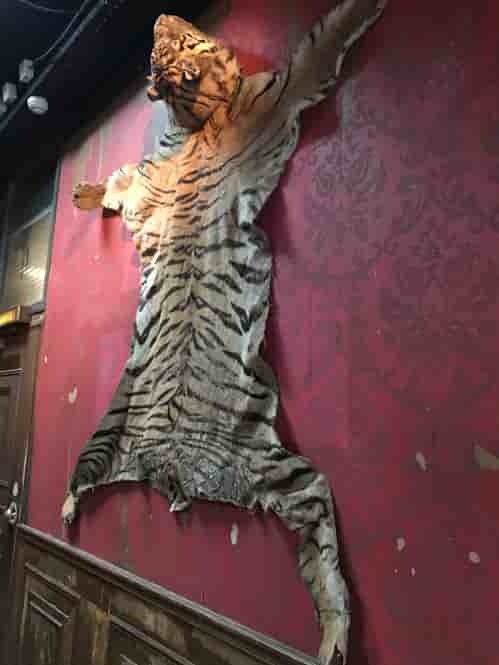 They are hung next to entire hides of wild animals—a tiger on the right wall and a cheetah on top of the doorway. And the eccentric decor doesn’t stop there! Inside the main salle, there’s a variety of couches and chairs of which no two are the same. To the side of the mini dance floor, you'll find a well-lit “pocket” that is also lined with mismatched chairs and loveseats. 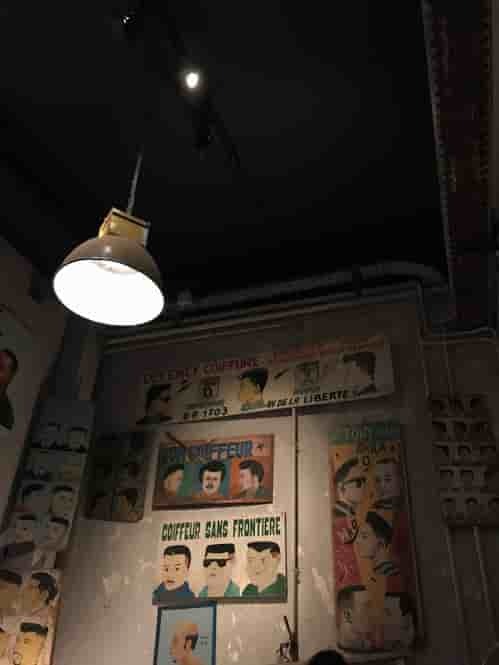 What sets this area apart from the rest of the bar is its old-school barbershop theme, fully equipped with a barber’s chair and posters of potential haircuts. No matter how loud the music, this area is always filled with people having discussions on every topic under the sun. Everyone has a story and they share them between drinks and dancing. Why are they in Paris? What brought them here? What has made them stay? 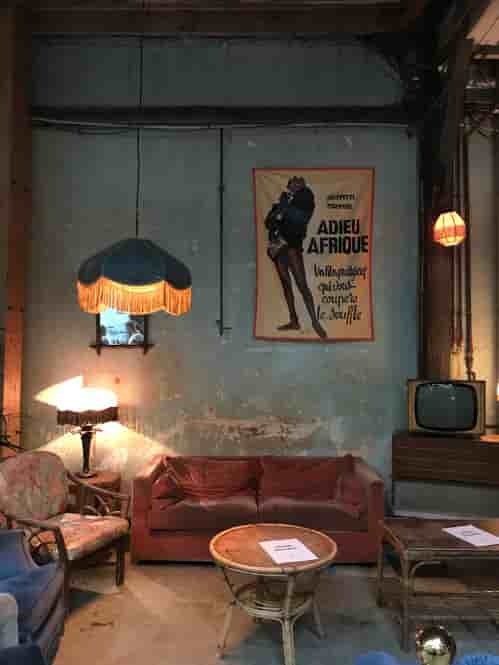 Upon my first visit to Le Comptoir Général, I met two French-African fashion bloggers, each of whom had a unique style. They told me that they were regulars and even introduced me to one of the bouncers. They had their critiques of the venue, such as how no matter cold it was outside, it was always so hot inside this popular bar. In another escapade, I met a group of friends, all of whom are all from Martinique. They had found each other in Paris through friends of friends, all of whom are also from the West Indies. The music and dancing at Le Comptoir Général provides them with an atmosphere similar enough to their home island that they keep coming back. They introduced me to jus de bissap, a traditional Senegalese drink that they often enjoy on a warm summer night out. The numerous individuals I met were among the most interesting that I encountered during my Parisian adventure. What they all had in common was that Le Comptoir Général kept them coming back weekend after weekend. Tatiana Balabanis is a junior at Stanford University. She wrote this article while serving as a summer intern for the Wells International Foundation.